The Israel Defense Forces deployed additional Iron Dome air defense batteries throughout the country on Monday, following a rocket attack from the Gaza Strip earlier in the day on central Israel that left seven people injured. At approximately 5:20 a.m., a long-range rocket was fired from the city of Rafah in southern Gaza and directly hit a home in the central Israeli town of Mishmeret, northeast of Tel Aviv. The building was largely destroyed. Two of the people inside were moderately wounded and five others, including two small children, were lightly injured. The military refused to comment directly on why its air defense systems had failed to intercept the incoming rocket, but an IDF spokesperson indicated that it was because an Iron Dome battery had not been deployed in the area. 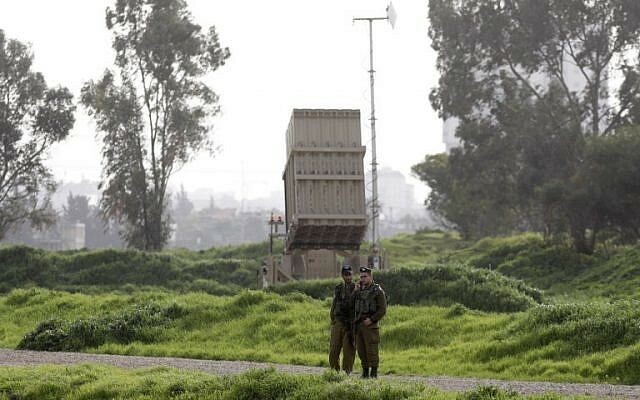 In addition to the deployment of additional Iron Dome batteries following the early morning rocket attack, the military sent two additional brigades to the Gaza region and called up a small number of reservists for air defense and other select units. As a rule, the Israeli military does not comment on the specific locations of its deployed Iron Dome batteries, as such information could be used by terror groups to better direct their attacks. Senior Israeli officials told reporters on Monday morning that a forceful retaliation to the early morning rocket attack was forthcoming, but it appeared to be delayed by ongoing Egyptian attempts to broker a ceasefire and Prime Minister Benjamin Netanyahu’s visit to the United States. Israeli military officials met with the heads of local governments in the communities around the Gaza Strip to prepare them for the planned retaliatory strikes against terrorist targets in the coastal enclave — and the expected Palestinian responses to these counterattacks. In light of the threat of violence, the Israeli communities around the Gaza Strip canceled after-school events and other large gatherings. Public bomb shelters were preemptively opened in some communities. Train service from the city of Ashkelon to the Gaza-adjacent town of Sderot was halted “by order of security officials,” Israel Railways said in a statement. Israeli troops also began closing off open areas around the Gaza Strip to civilians ahead of the expected renewed violence in the border region. Soldiers could be seen shutting gates leading to the Black Arrow memorial site, which overlooks northern Gaza and was the site of an anti-tank guided missile attack that seriously injured an IDF soldier in November 2018, as well as other locations near the Strip. “In light of a security assessment and as part of efforts to improve preparedness, the Gaza Division decided to close off some areas and roads near the [Gaza] security fence. In addition, it was decided to halt farm work in the fields adjacent to the security fence,” the army said in a statement. Following the rocket strike, Israel also closed its two Gaza crossings — Kerem Shalom, which is used for goods, and the pedestrian Erez Crossing — until further notice, Israel’s military liaison to the Palestinians Maj. Gen. Kamil Abu Rukun said. Abu Rukun, known as Coordinator of Government Activities in the Territories, also announced Monday that Israel would be restricting the permitted fishing zone around the coastal Gaza Strip in light of the attack. 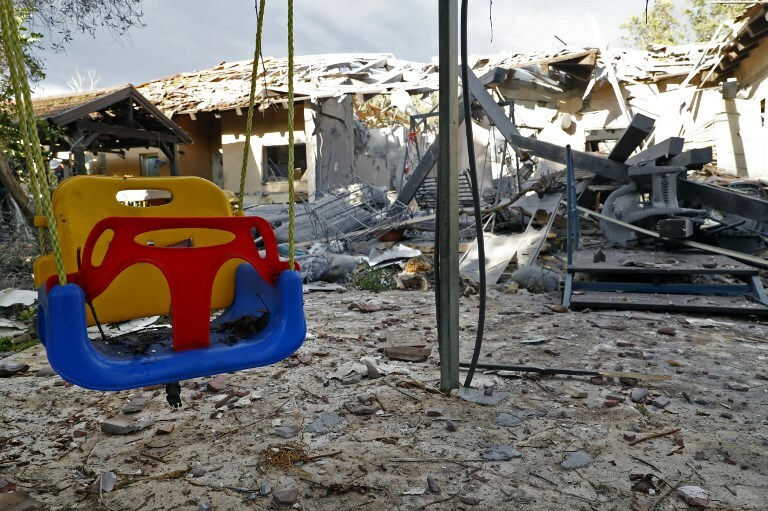 IDF Spokesperson Ronen Manelis said the Hamas terror group was responsible for the rocket attack, noting that the projectile used was manufactured by the organization and that it was fired from one of its launchpads in the southern Gaza town of Rafah. The Gaza-ruling Hamas told an Egyptian military intelligence delegation that the rocket had been fired mistakenly, according to a report on the Arabic-language Al-Arabiya television network. The terror group made similar claims of an “accident” about a rocket attack on Tel Aviv earlier this month and one that hit a home in Beersheba in October. Manelis did not respond to the reports of an accidental launch. “We are not commenting on our intelligence assessments at this time,” another IDF spokesperson said. 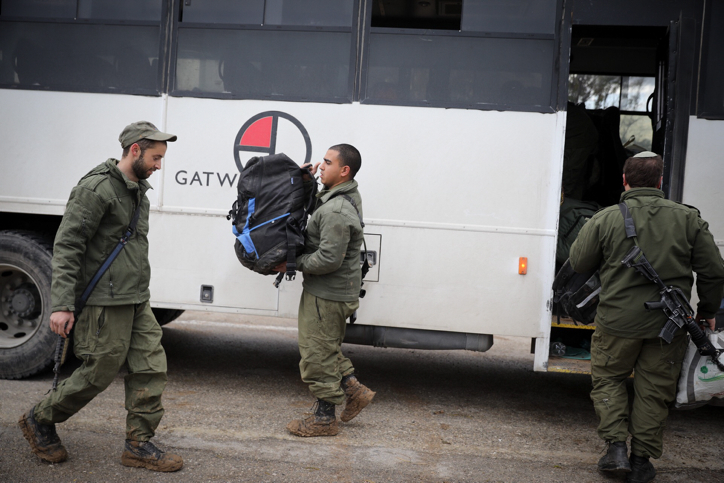 Following the rocket attack, Palestinian terror groups began evacuating their positions throughout the Gaza Strip ahead of expected Israeli counter-strikes. There are fears that violence will ramp up this week, with Hamas hoping to draw hundreds of thousands of rioters to the fence at the weekend to mark a year of so-called March of Return protests, which began March 30, 2018.